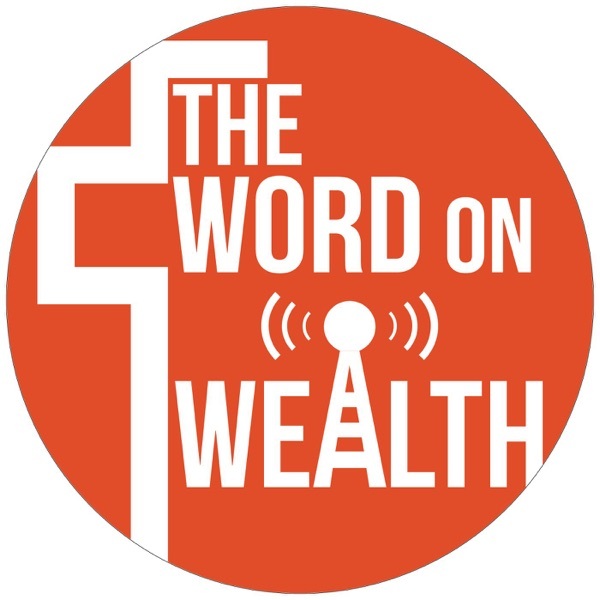 The Word On Wealth | Listen Free on Castbox. Celebrate High-Five day! Give yourself one for each of these financial achievements John Dombroski has! Guest estate planning attorney Jonathan Muntz joins us to talk about an interesting case about in regards to creating documents and getting married.We are also joined by Amanda Renfrew and Marcus Fleming with Purplebricks, to talk to us about the exciting world of Real Estate!Your money, your estate plan, your retirement. Securing Arizona’s future one family at a time. This is The Word on Wealth financial network. For intelligent financial talk you can have faith in. With your host, president and co-founder of Grand Canyon Planning Associates, John Dombroski. Send in your questions at dearjohn@thewordonwealth.com. Listen to the show on Fridays at 2:00pm on 1130AM KQNA, Saturdays at 7:00am on 960AM The Patriot, and Saturdays at 9:00am on 550AM KFYI. April 15th is the due date for your taxes – are you ready?Your money, your estate plan, your retirement. Securing Arizona’s future one family at a time. This is The Word on Wealth financial network. For intelligent financial talk you can have faith in. With your host, president and co-founder of Grand Canyon Planning Associates, John Dombroski. Send in your questions at dearjohn@thewordonwealth.com. Listen to the show on Fridays at 2:00pm on 1130AM KQNA, Saturdays at 7:00am on 960AM The Patriot, and Saturdays at 9:00am on 550AM KFYI. April is humor month, and kicks off with April Fools’ day! In the spirit of the holiday, John talks about financial myths that should be April Fools’ jokes, such as keeping debt on your card to improve your score, not worrying about estate planning unless you have money, getting out of the markert when it’s low, and a few others! Your money, your estate plan, your retirement. Securing Arizona’s future one family at a time. This is The Word on Wealth financial network. For intelligent financial talk you can have faith in. With your host, president and co-founder of Grand Canyon Planning Associates, John Dombroski. Send in your questions at dearjohn@thewordonwealth.com. Listen to the show on Fridays at 2:00pm on 1130AM KQNA, Saturdays at 7:00am on 960AM The Patriot, and Saturdays at 9:00am on 550AM KFYI. This week is Mom & Pop Business Owner Day! Shop local! There are over 30 million small businesses in the U.S. – there are plenty of options out there! The weekly tip is: When a baby comes along, it can be hard to stick to a household budget. Rather than struggle to meet old goals, adjust the budget in light of new realities. Refrain from abandoning budgeting in the wake of the change.Your money, your estate plan, your retirement. Securing Arizona’s future one family at a time. This is The Word on Wealth financial network. For intelligent financial talk you can have faith in. With your host, president and co-founder of Grand Canyon Planning Associates, John Dombroski. Send in your questions at dearjohn@thewordonwealth.com. Listen to the show on Fridays at 2:00pm on 1130AM KQNA, Saturdays at 7:00am on 960AM The Patriot, and Saturdays at 9:00am on 550AM KFYI. This week’s holiday is International Happiness Day – the theme is “Happier Together.” Americans confidence in their personal finance is on the rise. 50% of Americans believe they are in better shape financially than last year. People agree that the economy is also doing better. John talks about the rules of taking your Required Minimum Distribution.Your money, your estate plan, your retirement. Securing Arizona’s future one family at a time. This is The Word on Wealth financial network. For intelligent financial talk you can have faith in. With your host, president and co-founder of Grand Canyon Planning Associates, John Dombroski. Send in your questions at dearjohn@thewordonwealth.com. Listen to the show on Fridays at 2:00pm on 1130AM KQNA, Saturdays at 7:00am on 960AM The Patriot, and Saturdays at 9:00am on 550AM KFYI. 3.14159265…. It’s Pi Day! 6% of Americans remember more than the first 10 digits of Pi, and 11% of Americans love math – however 38% of American households have credit card debt issues, and 33% of adults that do not have any retirement savings. We need to teach youth how to save and manage money. Our resident tax advisor and CPA Daren Sigrist is here talking about short-term rental income, as well as 1031 exchange. Estate planning attorney Jonathan Muntz joins in to discuss distributing versus keeping assets in a trust.Your money, your estate plan, your retirement. Securing Arizona’s future one family at a time. This is The Word on Wealth financial network. For intelligent financial talk you can have faith in. With your host, president and co-founder of Grand Canyon Planning Associates, John Dombroski. Send in your questions at dearjohn@thewordonwealth.com. Listen to the show on Fridays at 2:00pm on 1130AM KQNA, Saturdays at 7:00am on 960AM The Patriot, and Saturdays at 9:00am on 550AM KFYI. It’s International Women’s Day – however when it comes to finances, most women rely on their spouse to make the financial decisions. Talking with Estate Planning Attorney Jonathan Muntz about charitable and IRA contributions, and the importance of beneficiary designations on all of your accounts. Also CPA Daren Sigrist talks about deferring taxes on income from real estate investments. Listen to the show on Fridays at 2:00pm on 1130AM KQNA, Saturdays at 7:00am on 960AM The Patriot, and Saturdays at 9:00am on 550AM KFYI. Your money, your estate plan, your retirement. Securing Arizona’s future one family at a time. This is The Word on Wealth financial network. For intelligent financial talk you can have faith in. With your host, president and co-founder of Grand Canyon Planning Associates, John Dombroski. Send in your questions at dearjohn@thewordonwealth.com. Listen to the show on Fridays at 2:00pm on 1130AM KQNA, Saturdays at 7:00am on 960AM The Patriot, and Saturdays at 9:00am on 550AM KFYI.